Just sharing a quick post with you all! Not sharing the traditional Bagels and Beans but a tasty Salmon club sandwich at Café XO in the centre of Haarlem.It was a tasty lunch which kept me really full until dinner. 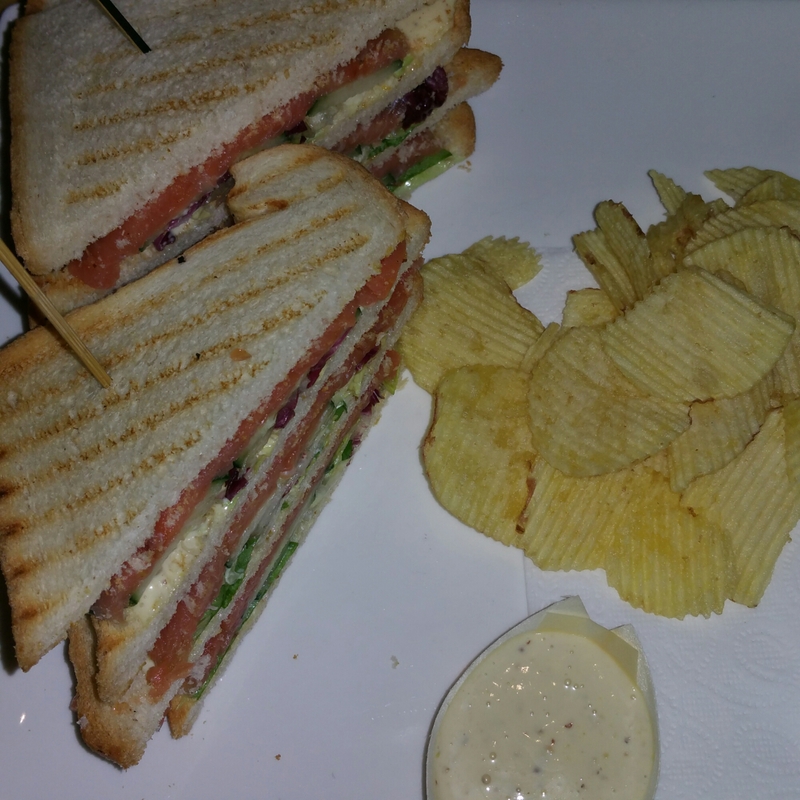 sandwich was made with thick slices of salmon and was served with a nice handfull of crisps. The only strugle I have with club sandwiches is that there is not a nice way eating them. Hope you all are having a good sunday!